Last Updated: February 25, 2019 | Subscribe to our weekly newsletter! It’s only logical. Your filter is one of the main components in keeping your pool clean, so it also needs to be kept clean. But maybe you’re new to pool maintenance. Or maybe you just got a new type of filter. 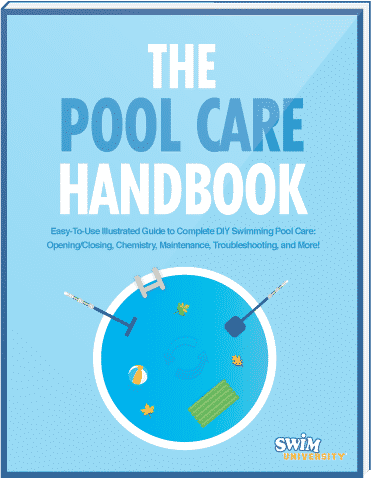 Whatever the case, knowing how to clean a pool filter is an essential part of owning a pool. But as long as you have the right equipment, enough time, and the desire to swim in a clean, clear pool (and who doesn’t want that?! ), cleaning your pool filter will be a snap. Depending on the type of pool filter you have—cartridge, sand, or diatomaceous earth (D.E. )—the proper cleaning method will vary. Just make sure you have the proper equipment on hand for your type of filter, and then set aside some time to make sure it’s done properly. A dirty filter makes for a dirty pool. This is an easy type of filter to clean. That’s because with a cartridge filter If you click this link and make a purchase, we earn a commission at no additional cost to you. , you can most often simply pull out the cartridge, clean it, and replace it. Still, you’ll need to follow a few (OK, maybe more than a few) steps to make sure it’s done right. You’ll also need some equipment. Spray nozzle If you click this link and make a purchase, we earn a commission at no additional cost to you. Filter cleaner If you click this link and make a purchase, we earn a commission at no additional cost to you. Lubricant If you click this link and make a purchase, we earn a commission at no additional cost to you. Once you have all the supplies you’ll need, set aside some time to clean the pool filter. The process may even extend overnight, depending on how dirty the cartridge is. Turn off the pool pump and the filter system. Remove air from the system. Turn the air relief valve (usually located on top of the filter) slowly to remove any excess air from the system. Remove the clamps (or other latching mechanisms) holding the filter together. If you’re unsure how to open it, check the owner’s manual. Remove the top of the filter. Slowly and carefully remove the cartridge and set it aside. Inspect it for damage and wear. If you find any cracks or tears, or it’s past the point where cleaning will be effective, it’s time to replace the cartridge If you click this link and make a purchase, we earn a commission at no additional cost to you. .
Use a spray nozzle If you click this link and make a purchase, we earn a commission at no additional cost to you. on your garden hose to spray down the cartridge, making sure to get between the pleats. If the cartridge is really dirty, use a filter cleaner If you click this link and make a purchase, we earn a commission at no additional cost to you. . Follow the manufacturer’s instructions. If the cartridge is really dirty, soak the cartridge in filter cleaner overnight. Use a 5-gallon bucket If you click this link and make a purchase, we earn a commission at no additional cost to you. , and make sure the cartridge is completely covered with the water and cleaner mixture. Check the O-ring on the filter tank. If it’s in good shape, lightly apply some lubricant to keep it that way. If it’s dry-rotted or appears worn out, replace it If you click this link and make a purchase, we earn a commission at no additional cost to you. .
Return the cartridge to the filter, and secure it in place. Replace the filter top and close the clamps. Turn the system back on, and open the air relief valve to release any excess air in the system. Keep the valve open until a steady stream of water sprays from it. Check the system pressure to be sure it’s in normal range. If the pounds per square inch (PSI) is off, you may have put the filter back together incorrectly, or something else may be wrong with the system. Troubleshoot the pool filter to identify and correct the problem. Now you can get back to swimming in a clean, clear pool. 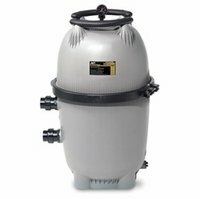 This is a little more involved, but don’t let cleaning a sand filter If you click this link and make a purchase, we earn a commission at no additional cost to you. intimidate you to the point where you don’t do it as often as you should. It’ll only make the task more difficult when you do get around to it. You have two options here. You can backwash the sand filter, which you’ll need to do whenever it reaches 10 psi over the normal operating level. It may also be time to clean the filter if you start to notice cloudy pool water. But at least once a year, you need to chemically clean your sand filter. To do this, you’ll need a couple of supplies. 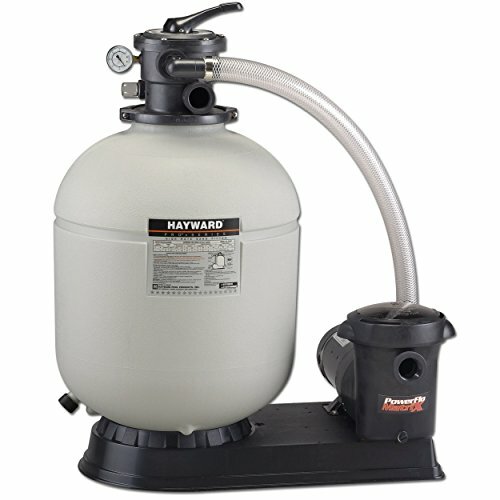 Sand filter cleaner If you click this link and make a purchase, we earn a commission at no additional cost to you. 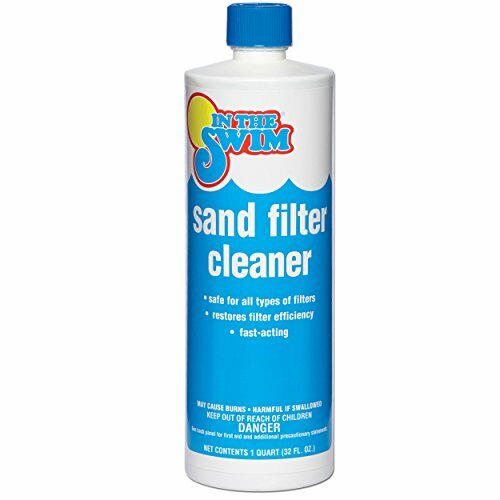 If you thought cleaning a cartridge filter was easy, just wait until you clean a sand filter! Backwash the filter for 3 to 5 minutes to remove debris. Turn off the pump, and turn the valve to Filter. Remove the pump’s strainer lid. 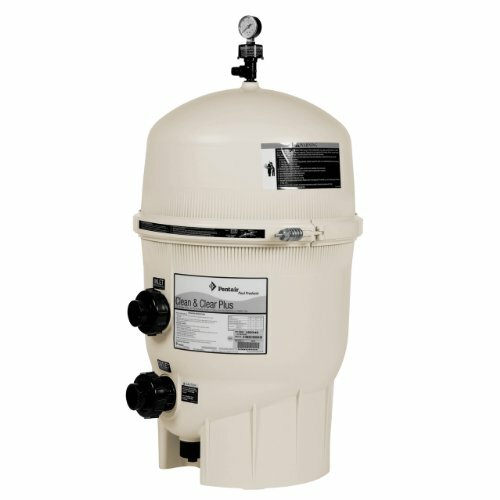 Pour sand filter cleaner If you click this link and make a purchase, we earn a commission at no additional cost to you. into the strainer basket, and replace the lid. Turn the pump on for about 15 seconds, just long enough to transfer the cleaner from the pump to the filter. Turn off the pump, and leave it off for at least 8 hours, or overnight. Backwash the filter for 3 to 5 minutes again to remove dirt and debris dislodged by the filter cleaner. If you don’t already have a sand filter, you may want to consider investing in one. The time you’ll save in cleaning is time you can spend enjoying your pool. This combines the processes of cleaning a cartridge filter and a sand filter. You can chemically clean a D.E. filter If you click this link and make a purchase, we earn a commission at no additional cost to you. , almost like you would a cartridge. Or you can backwash a D.E. filter, and just like the sand filter, it’s time to do that when the filter’s gauge reads 10 psi above the normal operating level. Cloudy water can also be an indicator that the filter needs a good cleaning. Aside from those indicators, it’s a good idea to clean your D.E. filter at least once a month. You’ll need a few supplies. D.E. filter cleaner If you click this link and make a purchase, we earn a commission at no additional cost to you. This is the quicker, easier, and less dangerous cleaning method. Open the air relief valve. Remove the drain plug, and let the water drain out of the filter tank. Remove the filter manifold, and take out all the grids. Rinse out the tank with the garden hose. Use a spray nozzle If you click this link and make a purchase, we earn a commission at no additional cost to you. on your garden hose to spray down the manifold, making sure to thoroughly flush the grids of all debris. If the manifold is really dirty, use a D.E. 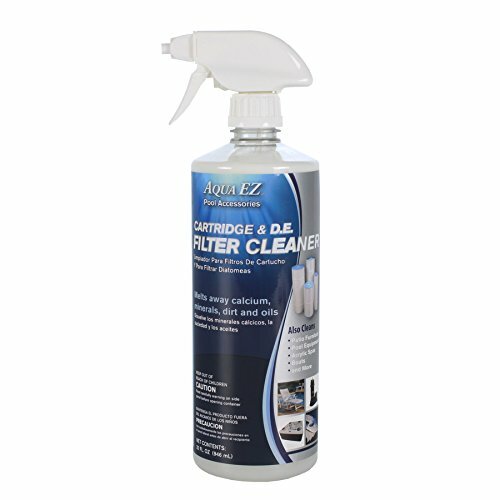 filter cleaner If you click this link and make a purchase, we earn a commission at no additional cost to you. . Follow the manufacturer’s instructions. If the manifold is really dirty, you may want to soak it overnight in a muriatic acid solution. Use a garden hose to rinse the filter grids, flushing out all debris, including the D.E. powder. Place the grids back into the filter tank. Lubricate the O-ring inside the tank. Replace the filter lid, and tighten the clamps or bolts to secure it. Open the air relief valve to release excess air from the filter tank. Close the air relief valve when water starts coming out. We recommend using this method if your filter is so filthy that regular filter cleaner isn’t enough. And if you use this method, do so sparingly. Once a year is plenty. Important: The acid in muriatic acid is exactly that. It’s caustic, and can cause injury if you’re not careful. Take all the precautions necessary to protect yourself, and anyone else who may be around while you’re cleaning your filter. Put on the safety goggles If you click this link and make a purchase, we earn a commission at no additional cost to you. and chemical resistant gloves If you click this link and make a purchase, we earn a commission at no additional cost to you. . We also recommend you wear long sleeves, pants, and closed shoes. Dilute the muriatic acid If you click this link and make a purchase, we earn a commission at no additional cost to you. with water in a 5-gallon bucket If you click this link and make a purchase, we earn a commission at no additional cost to you. . Follow the manufacturer’s instructions for dilution. Place the manifold in the bucket, ensuring it’s completely covered with the diluted solution. Allow it to soak overnight. If you’ve been wondering how to clean a pool filter, wonder no more! Keep the supplies on hand so you’re always ready to clean the filter the minute you notice it’s not working as well as it should. And more than having clean pool water, keeping your filter clean will also help it run longer and more efficiently, saving you money, energy, and time. The longer you keep your filter in good working condition, the longer you can wait to replace it, and the more you can focus on enjoying your pool.